Set your bike apart from the rest of the pack with this unique four (4) piece Checker Graphic kit. 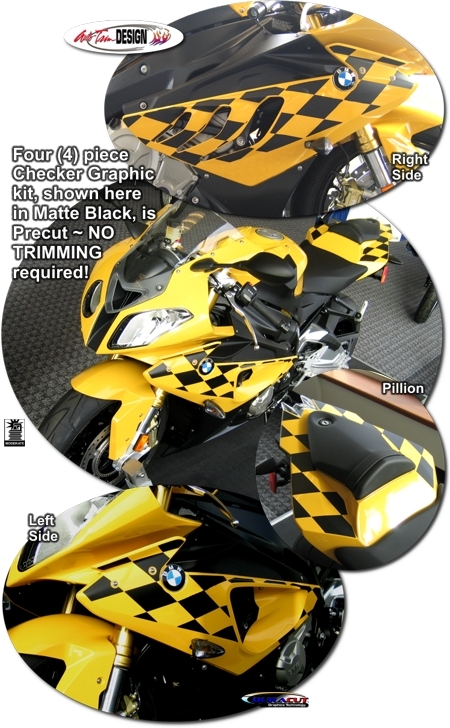 Created specifically for '10-Current BMW S 1000 RR bikes, this kit will "sport up" your ride in no time. Available in a wide variety of colors, this kit is precut (NO TRIMMING required) and designed to fit in the areas shown.